Update: January 2019 — we noticed our links to ScentTrunk were no longer working — so we're leaving the review up but currently recommend you check out our review of ScentBird.com if you're looking for a monthly fragrance subscription. One of the biggest issues with becoming interested in fragrance is that you feel there's always a little something you'd like to tweak about every fragrance. If only the top notes weren't so lemon-y, the dry down is too sweet, etc, etc. Or maybe you discover the perfect cologne...only to realize it's insanely popular and you smell like everyone else. If you're like most frag heads, you are are constantly looking for your perfect "signature" scent. Finding a fragrance that feels like it fits your personality and lifestyle can be an epiphany. However finding it can be a pretty tough task. There are so many colognes and perfumes, how do you find one that's unique to you? Sure, you can try layering, designing your own, or commissioning a custom perfume — but most of us lack the skills, time or budget to fully achieve our vision. Scent Trunk to the rescue. Scent Trunk is a Kingston, Ontario-based company that's all about creating unique fragrances. 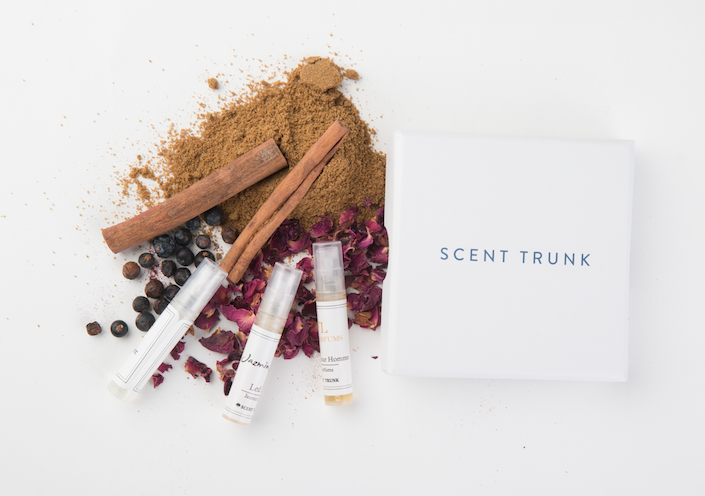 If you love the idea of a personalized cologne that's made exclusively for you and for no one else, Scent Trunk can help. With their tagline "Smell like no one else," the team at Scent Trunk designs scents that cater to your specific fragrance likes and dislikes. If you've always wanted to customize a cologne Scent Trunk's service may be a great fit for you. Intriguing concept...but how does it work work? How does Scent Trunk work? Scent Trunk makes designing your own personalized cologne a piece of cake. 1. First, you start with a scent test with 6 scents to discover what you love or hate (if you're a frag head like me, this might seem superfluous but it's still worth trying). These usually are citrus (lemon, bergamot, grapefruit), floral (lily, jasmine, gardenia), amber (vanilla, incense, musk), chypre (fruit, moss, patchouli), wood (sandalwood, cedarwood, pine) and aromatic (lavender, almond, rosemary). This is actually free, you just have to pay for the shipping (so not entirely free but still generous of them). 2. Submit your preferences and any special requests online. If you're a die-hard, this is when you can say you're more of a cedar not sandalwood guy, etc. Then award-winning perfumer Sarah McCartney designs your fragrance with the scents you like, avoids the ones you don't like. 3. Try out your new fragrance! Love it — request they send the same one next month. Want to tweak it? Send in how you'd like it changed for the next round. Who is Scent Trunk for? I'd say honestly, you probably have to be a bit of a frag head to really appreciate this service. 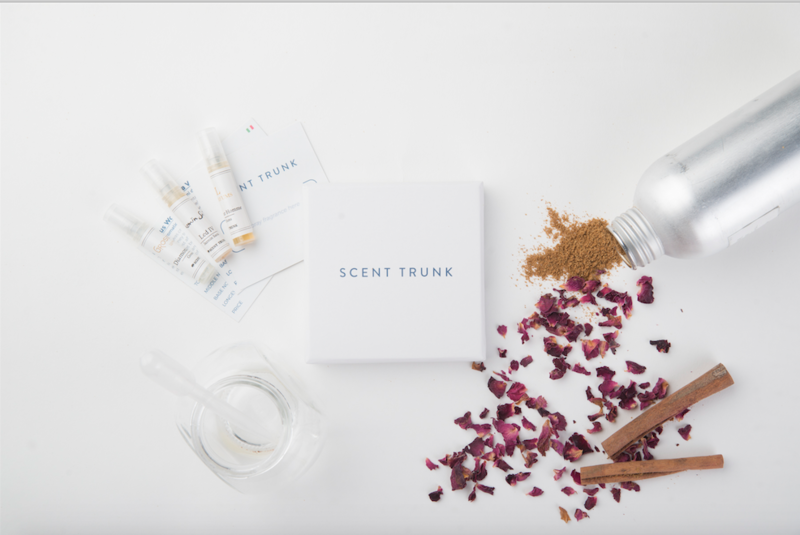 The founders decided to create Scent Trunk as an alternative to dealing with department store fragrance counters (which I totally get wanting to avoid and commend them on). If you're someone that wants to make a statement with a unique fragrance or is just tired of constantly thinking "this smells great, but..." you should try it out. Plus it's a monthly subscription so for $11.99 a month you're never running out of cologne again. You smell unique. You'll never hear that you smell like your date's dad. No department store cologne counter (the dread is real). Get exactly the scents you like. Affordable way to get a personalized cologne. Subscription service — 5ml gift of cologne in your mailbox once a month. Involved process — if you need a cologne for your wedding tomorrow, it's not for you. Small size — they say a sample will last a month, but I think you'd have to be sparing. Expensive — sure, it's cheap for personalized cologne but it's still pricy by ml. Subscription service — sometimes it's a hassle getting packages delivered. 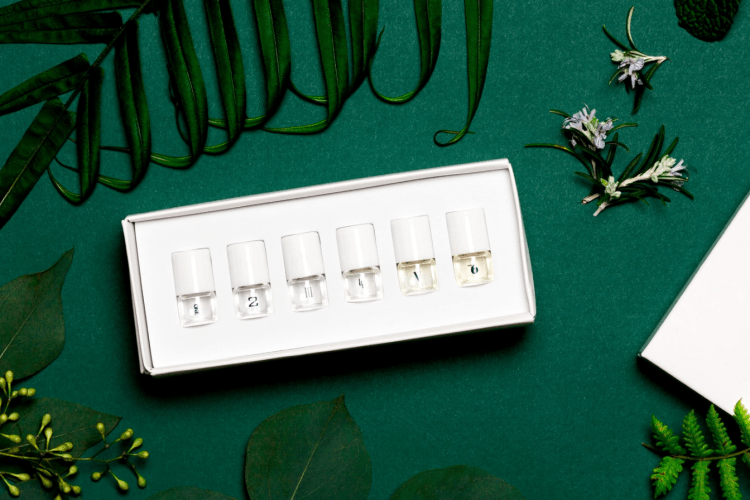 There's a lot of things I really love about Scent Trunk — first of all, it allows all us frag heads to opportunity to play perfumer without having to develop any real skills or find a lab — which is a dream come true. That said, I don't see it entirely replacing my cologne collection. I still like being able to pick out a specific scent to match my mood or the occasion — plus 5ml is just not going to last me a whole month. Still it's fun to have a unique signature scent for regular wear. I'm also a little torn on the subscription part — I like the idea of changing the scent with the seasons and time of year. And who doesn't love a present in the mail? That said, I travel a lot and remembering to pause subscriptions or getting packages delivered can be a hassle. It's not really a deal-breaker but it might be nice to have an option to get the fragrance in a larger bottle size. So, final verdict: if you've ever had fantasies of designing your own fragrance, definitely try it out for a month. For under $12 you can feel like an A-lister with your own perfume but without having to show your abs off in a ridiculous ad.